Dinosaur Comics - March 8th, 2012 - awesome fun times! –They sound like MAYBE the most entertaining dreams ever? 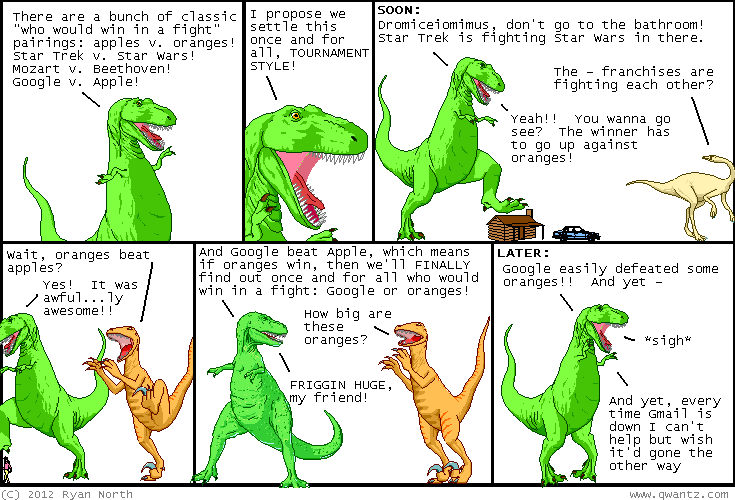 March 8th, 2012: Did you know you can follow Dinosaur Comics on Twitter? You can also follow T-Rex, only on Twitter he is a robot who will chat you up.